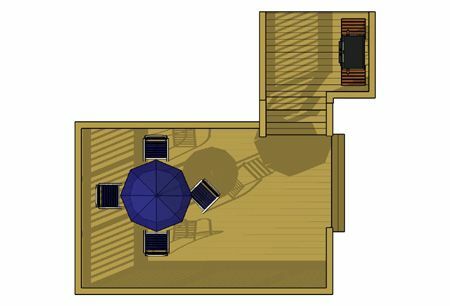 This 2 level deck consists of a 8' x 6' top deck that provides access to the house door and allows for a small grilling area. 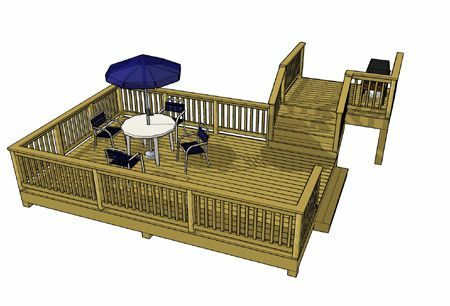 A 5' wide stair descends to a 18' x 12' free-standing deck that provides the primary entertaining space. The stair configuration presents very free and direct traffic lanes. The bottom deck is surrounded by rail which provides a layer of privacy and definition.